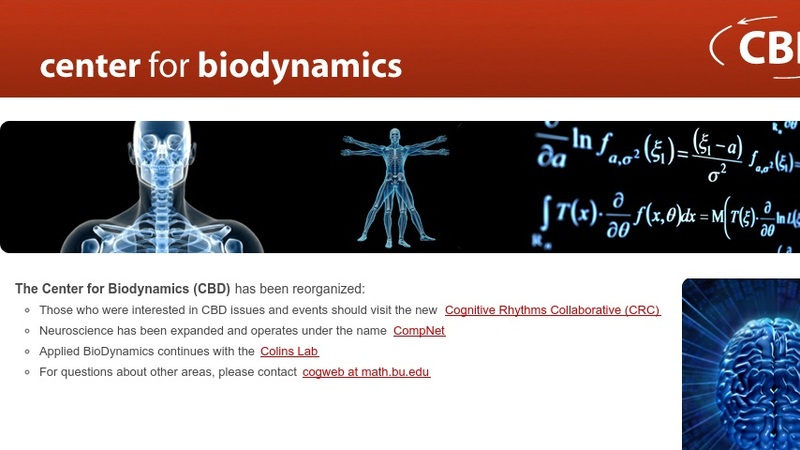 The Center for BioDynamics (CBD) brings together the College of Engineering and the College of Arts and Sciences at Boston University to foster "advance training and research at the interfaces among dynamical systems, biology and engineering." The CBD's work provides insights into the functioning of physiological systems and examines ways to improve clinical devices and techniques. The center also hosts work in research and development on dynamical systems techniques for various other applications. The Ongoing Research section describes major findings from recent research activities (2003-2004) and numerous other articles from 1999 to 2004 are posted in the Publications section.